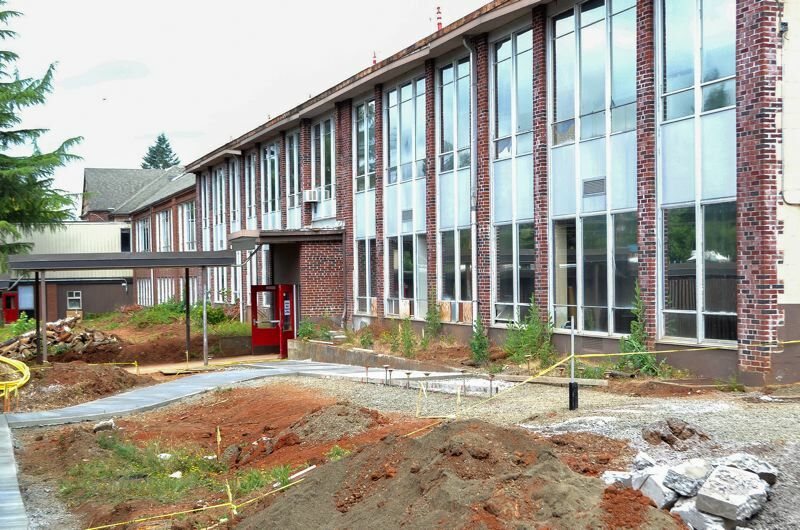 The old Sandy Union High School is well on its way to being the new Cedar Ridge Middle School. The district hopes to have the new campus up and running in time for the first day of the 2017-18 school year on Sept. 5, so Cedar Ridge can accommodate its growing student population. 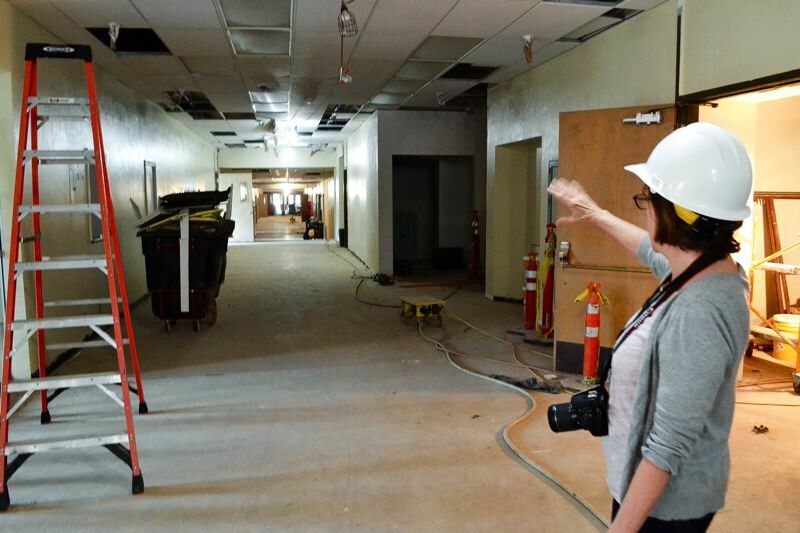 "The district is striving to open the school in the fall, but still seeking assurances from the general contractor that they can meet that timeline," Oregon Trail School District Communications Director Julia Monteith said. "With a project like this — an almost 100-year-old building — you never know what's going to happen when you rip off that Band-Aid. There's always something, but you just take it day by day." Construction has been underway since earlier this year after the school board approved Skyward Construction as the main contractor. With 23 classrooms, the renovated high school will allow growth of the student population as well as for teachers to expand their curricula. The school has 400 students, close to if not beyond the capacity of its campus, while the former high school's first story alone can house 650 students. The second floor has the potential to be remodeled in the future should the school need the space, but is not part of current plans. "There are a lot of resources that will be available to kids that they don't have currently at Cedar Ridge," Monteith added. 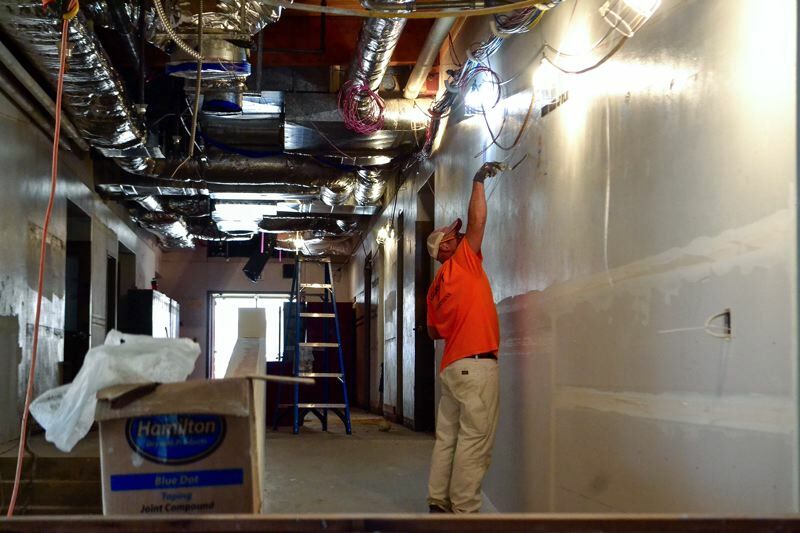 "It's going to be a much better learning environment for kids." The science wing of the old high school, with its fully furnished labs, will allow teachers to offer lessons they couldn't at the Cedar Ridge campus. With the renovations to the old high school, district officials believe the flow from class to class should improve for students. After removing the modular structures surrounding the main structure, the district decided to create a more circular flow for the hallways. Ease of transportation from class to class is expected to greatly improve, and the addition of an ADA-compliant ramp should also help. "The way Cedar Ridge was built — like many buildings in the district — you add on and add on and you get a maze," Monteith said. The main entry way has been moved, as well as administrative offices. In the original high school, the office sat somewhere toward the middle of the building, creating confusion for parents and newcomers trying to sign-in or ask questions. 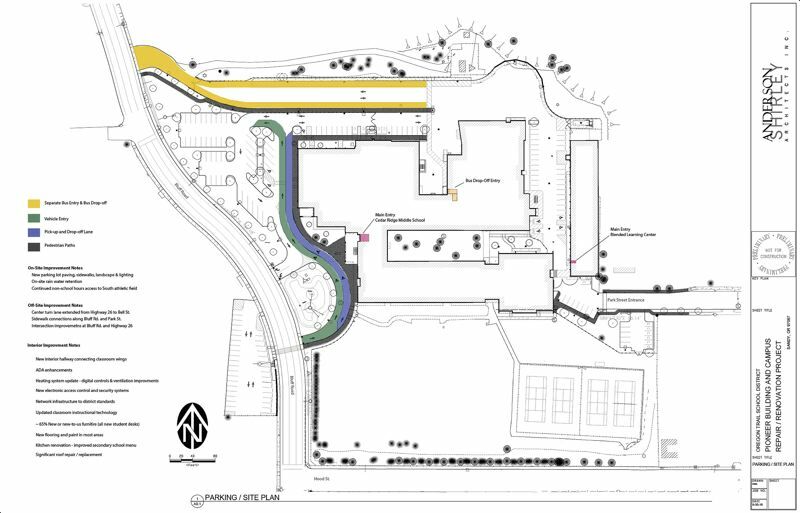 The entry now will be located on the far south side of the campus, along with the new office space. A major reason for the renovation is so Cedar Ridge can have a cafeteria and kitchen and eliminate the need for Sandy Grade School staff to trek food over to Cedar Ridge, where students eat in the gymnasium. In the renovated high school, both facilities will be newly furnished. Through the years, the logo and mascot of Cedar Ridge Middle School has changed, and with this new grand upheaval, the district felt it may be a good time to revisit the school's branding. While the mascot for the school is the mountain storm, depicted in bright turquoise blue, because the student body will be new residents of the old high school this fall, the district introduced the idea of returning to Cedar Ridge's former "Mountaineers" brand. Students have accepted the change, eagerly brainstorming logos presented by administrative staff. The colors will be similar to those of Sandy High School in red and gray to create solidarity between the two campuses. The city of Sandy purchased the old Cedar Ridge campus for its new aquatic and community center. 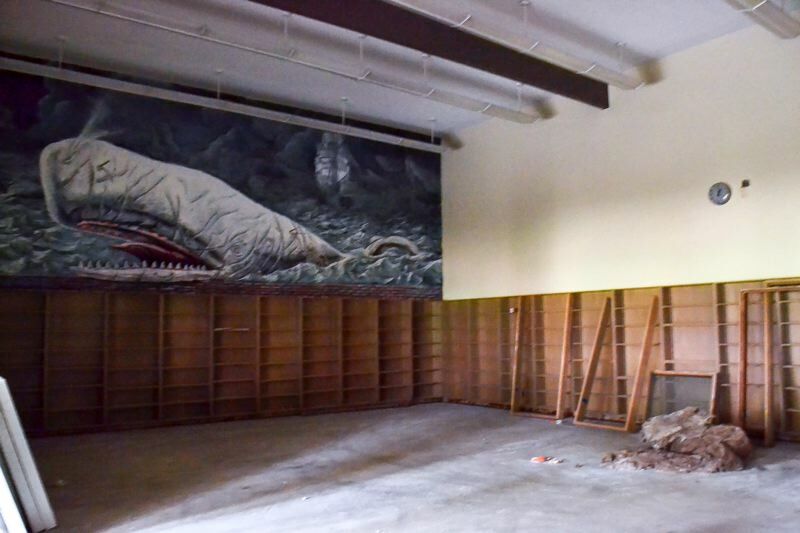 For the past academic year, the city has leased the old space back to the school district, and recently reassured that if the new building isn't ready by Sept. 5, the students will still have a place to learn at the old campus. "The city works with us and has been very accommodating," Monteith noted. "The city has already assured that whatever we need for kids they're fine with."